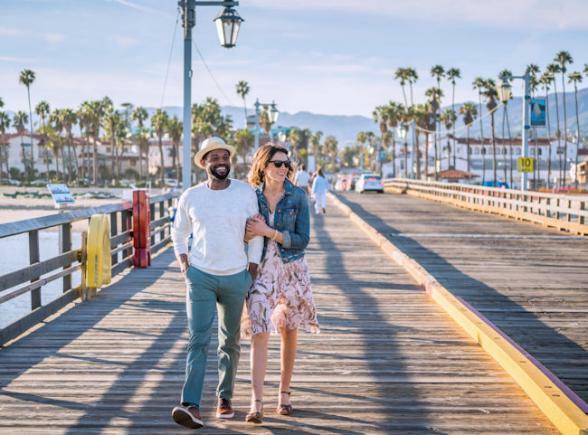 This impressive journey through California will take you through some of the iconic sights and landmarks of the Golden State. From the 'Beautiful City on the Bay', San Francisco to the glamour of Hollywood. 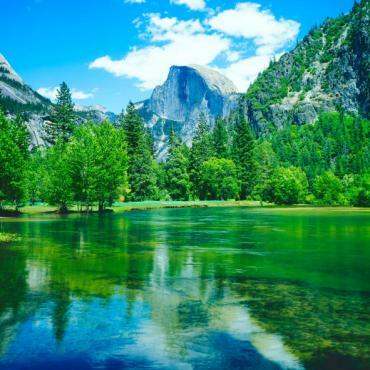 Gaze at the outstanding natural beauty of Yosemite National Park, soak up the relaxing seaside beaches and breathtaking coastal drives. 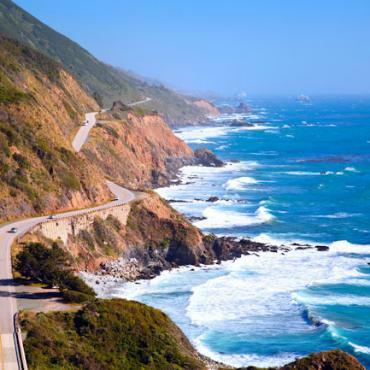 This Classic California trip offers a truly delightful road trip for all the family. All Bon Voyage holidays can be totally tailor-made, please call our experts for further assistance. 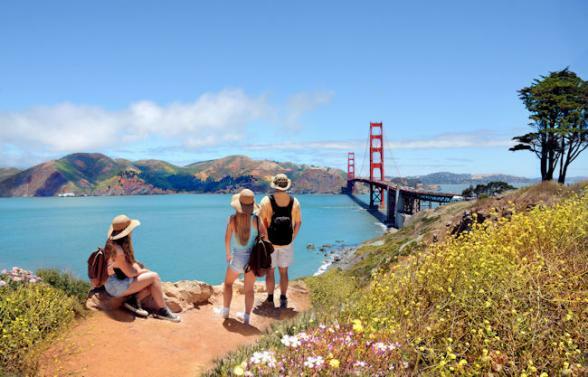 Begin your Classic California fly-drive holiday in San Francisco. 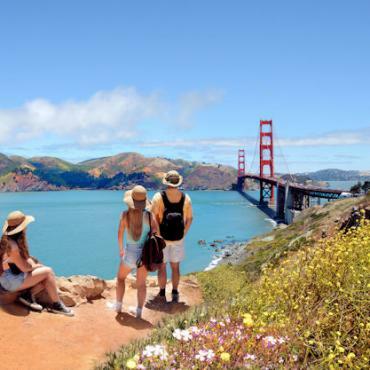 Known for its famous crimson bridge and historic cable cars it is a perfect city to explore on foot or why not try out your cycling skills and bike the sights? Gaze out at the shimmering bay and take the ferry to Alcatraz Island, once a formidable prison, now a tourist attraction. Enjoy the vibrancy of Chinatown, Union Square, Pier 39 Fisherman’s Wharf. 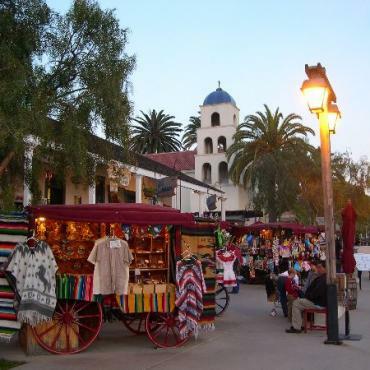 From San Fran, you can also easily explore the nearby rolling hills of California Wine Country. Napa Valley's famed wineries are always open for tours and tastings. Perhaps climb aboard the Napa Valley Wine Train for a sumptuous lunch and wine tasting? Bon Voyage can pre-book all city tours and excursions including the Napa Valley Wine Train. 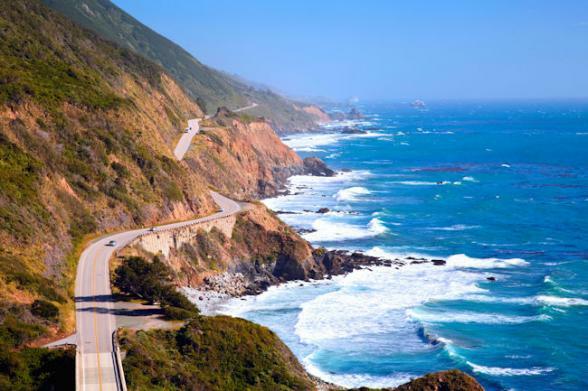 After two days collect your hire car and leave the 'Beautiful City on the Bay’ behind you to continue your journey down the famous 17-Mile Drive which spectacularly hugs the peninsula coast from Pacific Grove to Carmel. Few stretches of coastal roads match this scenic beauty. There are over 20 scenic stops including the Lone Cypress Tree, the Restless Sea, Seal Rock and Spyglass Hill. 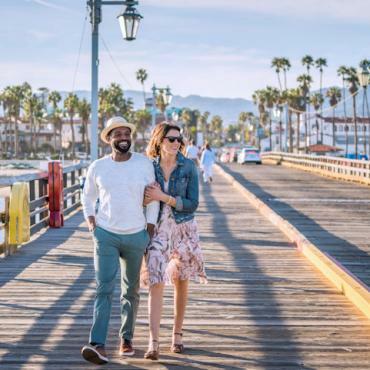 Your home for two nights is Monterey, a beautiful seaside community combining the charm of a small town with an endless variety of activities and allowing you time to experience one of the world's most unforgettable stretches of coastline in and around Big Sur, California. Bon Voyage would be delighted to pre-book whale-watching, or electric bike tours in advance for your during your time in Monterey. Another must-do whilst you are here is the excellent Monterey Bay Aquarium. An array of marine life at its best. 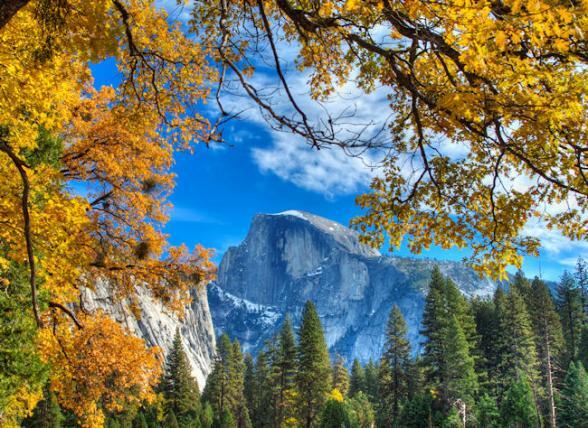 Heading away from the rugged Pacific coast today continue your journey to the awe-inspiring Yosemite National Park. Take your time marvelling at the staggering waterfalls, giant Redwoods, lakes and meadows before arriving at your accommodation at the western edge of the park. 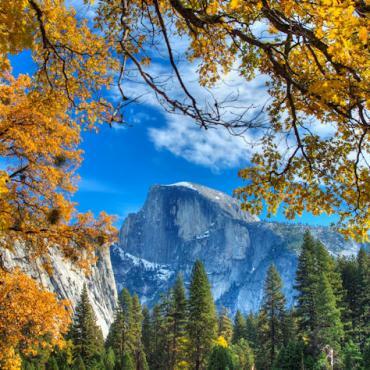 The park, the size of Rhode Island, has many incredible places to visit, including El Capitan, Half Dome, Cathedral Rocks, Bridal Veil Falls and Yosemite Valley where you can participate in one of the many hikes and trails. Enjoy the breathtaking views formed by millions of years of glacial activity and spot the abundance of wildlife and plant life living in the National Park. Perhaps you’ll be lucky and spot one of the rare Bighorn Sheep and other wildlife that live here. 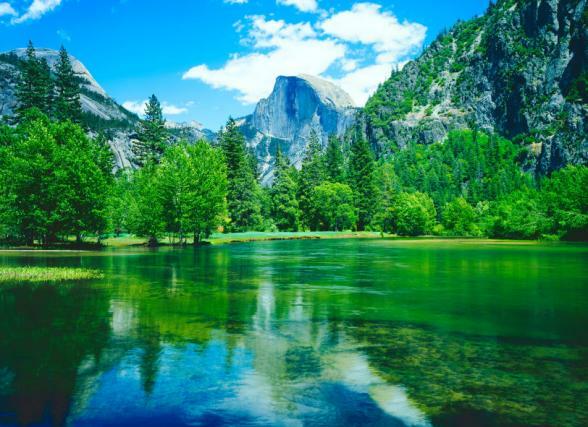 Yosemite National Park was made famous in part by the work of photographer Ansel Adams, a celebrated photographer and environmentalist who worked in California for decades. Join a 4-hour small-group photography tour that is inspired by the work of Ansel Adams. Your guide is a professional photographer from the park's Ansel Adams Gallery, who will lead a hands-on workshop that helps you to improve your skills with digital cameras. To pre-book this workshop, please contact Bon Voyage. Taking the east entrance travel via the Tioga Pass discover splendid views of the Sierra Nevada’s towards eerie Death Valley, the hottest place on Earth. 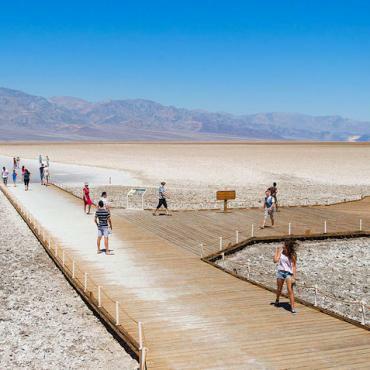 Death Valley National Park displays its landscape of incredible beauty of deep sand dunes, multicoloured rocks and canyons. Take in the views at Zabriskie Point and Dante’s Peak and learn about the valley’s unique geological features with an assortment of native wildlife. If Las Vegas is on your wish-list, let us know, we can include the city in this itinerary. It's also a great base from which to explore the Grand Canyon, Hoover Dam, Lake Mead and the incredible Valley of the Fire. Speak to Bon Voyage about the options available to you. Today leave Death Valley in time to have an interlude in Barstow, Route 66 country. For a dose of Americana consider a stop for lunch at Peggy Sue’s 50’s Diner. Palm Springs sheltered by mountains on the great deserts of Southern California has a warm chic atmosphere which will quickly embrace you. Take some time to kick-back and relax, there is so much to enjoy here. Shop in the eclectic boutiques, enjoy a leisurely breakfast in one of the many outdoor cafes, meander amongst the pretty streets or even partake in a round of golf. A visit to the Elvis Presley Honeymoon House is highly recommended, as too is a jeep tour of the San Andreas Fault. If you're not afraid of heights then consider a trip on the remarkable Palm Springs Aerial Tramway for incredible views over the valley below. 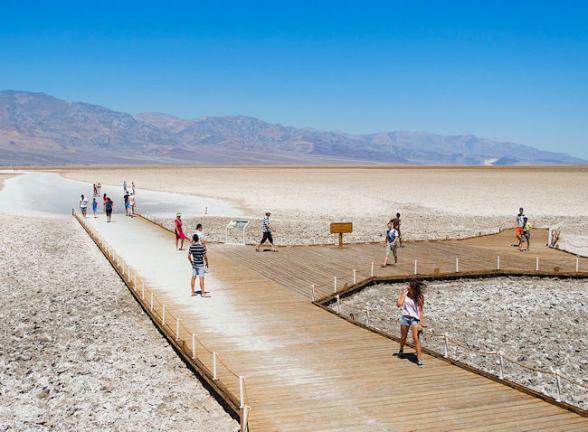 Take the scenic highway north of Palm Springs to San Diego via the impressive Salton Sea, and the pretty mountain town of Julian, famous for its apple pie. When talk turns to near-perfect year-round climates, Perth and Cape Town may have their followers, but our vote goes to San Diego. The average daily high temperature doesn't fall below 18C at any time of the year, nor does it rise above 27C and the humidity is low. It's hardly surprising that the lifestyle here is based around outdoor activities. With 70 miles of coastline beaches, sailing opportunities and endless golf courses, it’s the perfect place to relax. 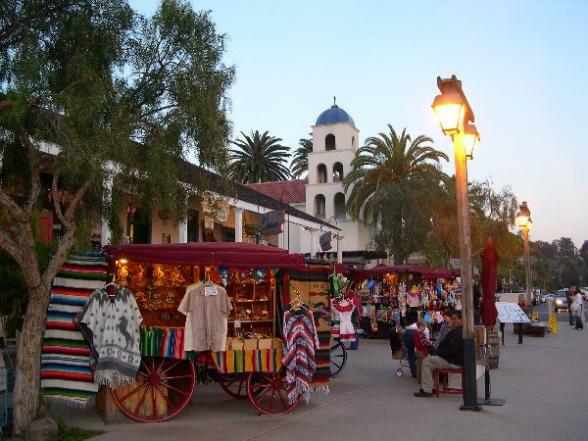 San Diego is California's second largest city, the state's oldest and the birthplace of all that is Californian. Many of its key attractions are within a short distance of lively downtown San Diego's attractive waterfront area. Don't just think of this region as a fabulous beach destination, the activities go way beyond that. There is even the chance for a day trip to Tijuana, Mexico from San Diego. As your California adventure comes to an end, it’s time to rub shoulders with the celebrities in glamorous Hollywood. Watch a movie in the Chinese Theatre then stroll amongst the hand and foot prints of around 200 Hollywood Stars on the famous Hollywood Walk of Fame. Have a peek at the lobby in the Roosevelt Hotel a 1927 landmark, named in honour of President Theodore Roosevelt and the home of the first ever Academy Awards. Make sure to take one of the many sightseeing tours available, including hike the sights up to the Hollywood sign! Spread over 4,000 square miles there are so many options in Los Angeles. If Hollywood is not your preference why not check out the wonderful beaches. Santa Monica, Venice, or Huntingdon Beach are very popular and Universal is a must-do for all movie fans. Just ask our specialist team to help you find the right choice for you. Depart on your early afternoon flight back to the UK from either Los Angeles or San Francisco. Want to extend this California fly drive? Maybe fly onto the Hawaiian Islands afterwards? Call Bon Voyage to discuss the options available to you to create your dream California experience.